Nowadays, RFID is becoming more popular. Inside the library field, RFID has formed the development trend to change the original open book management mode (barcode management EAS security). Suffers from limitations in the barcode label, people naturally think about the bar code, for long periods of time, the barcode has played a vital role. However the popularity of RFID technology will greatly enhance the original objective of the barcode. First, the passive hand barcode read mode, workers have to read a handheld unit and RFID scanning, reading device using radio waves, can automatically instantly read tag information. Second, the bar code label is fragile, because of physical and chemical easily fade, torn, RFID belongs to electronic products works extremely well in harsh conditions. The 4 environment. Third, the storage from the barcode is very small, and the RED tag inside the embedded storage devices, plenty of information. Needless to say, the situation of barcode is the fact that it will always be a one-time, is not changed, and RFID may be arbitrary writing, but also can be modified. At present, there are two major categories of libraries at home and abroad in the use of RFID, one is using high frequency RFID high frequency RFID tag typical working frequency is 13.56MHz, in general, passive tags and reader, data exchange, labels must be located under the reading of less than 1 meters. High frequency labels can be easily made into card. The other is the use of ultra high frequency RFID. 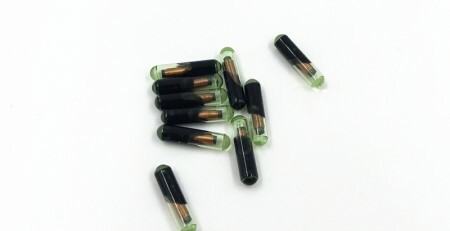 The working frequency of the ultra high frequency tag is between 860 and 960MHz, which can be divided into the far field region of the linear radiation field. The coupling mode between the tag and the reader is electromagnetic coupling mode. Typical case is 6 to 4 meters, the maximum can reach more than 10 meters. The RFID intelligent library management system is composed of RFID smart tag (RFID TAG), intelligent detection antenna, administrator reader, automatic lending desk, handheld reader and application software. 1smart tags can provide convenient data management, and has anti-theft protection function; intelligent detection antenna mainly provides the entrance security work, it can accurately identify the trigger alerts every book, truly no false alarm. 2 administrator code reader is the RFID code for the administrator to read books with special books procedures, can simultaneously read up to 20 books, borrow books without charge and degaussing operation trouble. 3Taiwan can let the reader without help from the librarian under the condition of their borrowing formalities, readers are free to borrow the book with a pre this way, after a small platform in front of the self borrowing, respectively, without treatment, greatly simplifying the borrowing formalities. RFID tag relative to the advantages of the bar code. 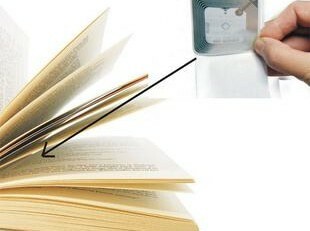 1, RFID technology has greatly reduced the flow of work, improve the efficiency of the book by returning the book, reduce the number of readers to return the book to wait for time. 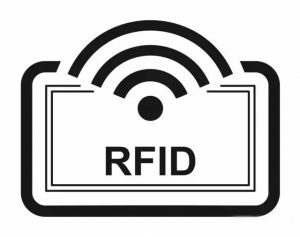 2, RFID technology has also liberated a large number of circulation librarians, so that they can engage in other senior consulting work, such as mobile services, seminars, exhibitions, training, etc..
3, RFID technology can be effective in the book inventory. Reduce the reader system can be found in the book, but actually can not find. 1, the United States Library in the RFID application is still in the world’s first. The city library and the University Library in the United States have adopted the RFID system to manage the city library and university library. Such as Jefferson National Public Library in Colorado, Sanantonio, city library, Minneapolis, Minnesota city public library, etc.. According to the United States, because most of the books or other media can be stacked up to be more rapid identification, making the RFID has faster than bar code book inspection speed time can be saved to 40%. In addition to the use of the stock management. Application of RFID Library in efficiency and value-added services have been greatly improved. 2, Japan as the world’s second largest economy, in the research and application of RFID also put a lot of manpower and material resources. According to the Japan Research Institute Fuji Research Institute recently released market forecast report, 2012, the Japanese RFID market about fifty-six billion and six hundred million yuan scale, compared with 2006 forty billion and six hundred million yen RFID market size, an increase of more than nine times. 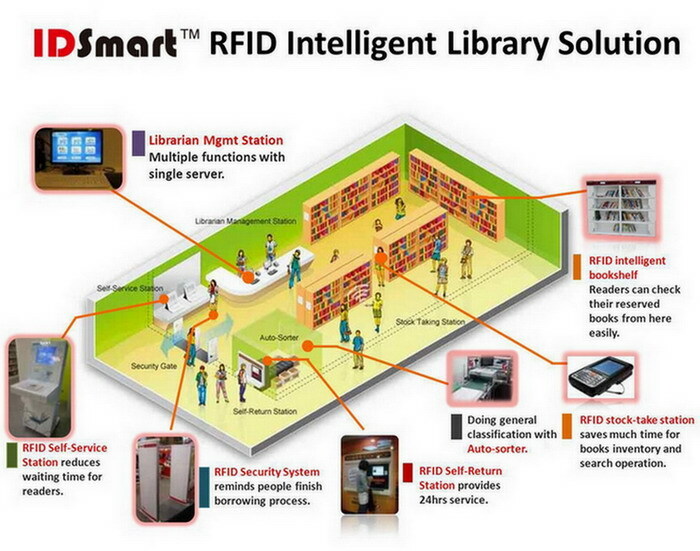 And Japan in the application of the RFID library is also in the world’s leading position.